is a U.S. based marine transportation company that constructs and charters vessels to operating companies. The company is owned and managed by Gordon L.K. Smith and Robert C. Dorn, longtime participants in the U.S. and foreign-flag shipping industries. Currently, our three newly built (2013-2015) ABS machinery classed ocean tugboats are on charter to two major U.S. shipping companies, and a 72,000 bbls, five-segregation system tank barge for a large U.S. fuel distributor is under construction. Our primary focus is to find the proper vessel solution for our clients’ requirements, using our capital resources to develop specialty vessel plans, then fund and tightly monitor shipyard construction. We remove the lengthy and costly time periods that inevitably occur in the ‘design-and-build-by-committee’ approach practiced by most maritime companies. Our clients are able to use their own financial and human capital to concentrate on increasing operating profit. 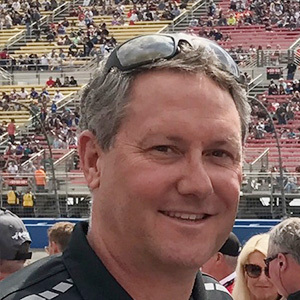 During his high school and college days, Gordon Smith began his career as a deckhand\diver in1984 and received a Bachelor of Arts degree in Economics from Colorado State University in 1992. Due to an untimely death of his father, Smith became president of the family businesses in 1992. In 2001, through a merger of all the family entities Gordon became the controlling owner and President of Smith Maritime, Ltd in 2001 through 2007. In 2002, Smith partnered with Bob Dorn and Wayne Sundberg to form Sirius Maritime LLC and was Vice President of Operations until the acquisition of those companies in 2007. Since the acquisition, Smith has served as President-Pacific Region for K-Sea Transportation from August 2007 to July 2011, and more recently served as President-Pacific Region for Kirby Offshore Marine from July 2011 to May 2013. Smith currently holds the COB\President position with Hyak Maritime from March 2012. He has more than 25 years of experience in project and program management in the maritime industry. Smith is currently a trustee for the Museum of Flight in Seattle, Washington, a board member with the Pacific Aviation Museum in Honolulu, Hawaii and a member of the Young Presidents Organization. He holds a certificate and license as a commercial helicopter pilot, airline transport pilot and 500 G.T. Master of Towing Vessels. 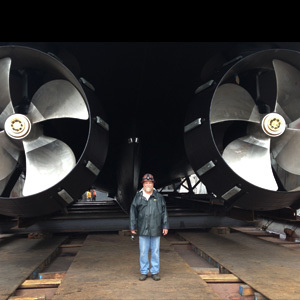 Following his college days at Indiana University and Montana State University, Bob Dorn began his career in the shipping business as a deckhand for Boyer Towing of Ketchikan, Alaska in 1979. Going up the hausepipe, he held successive positions as Ordinary Seaman, AB, Tankerman, Engineer, Mate, and finally, Master during his eight years working the Alaskan waters for Boyer. In 1987, Dorn went ashore to manage a start-up tug and barge company, Sea Coast Towing, based in Seattle. The company went from one small tug and one gravel barge serving Puget Sound into becoming one of the largest tug/tank barge operators in Alaska and the West Coast, operating 36 vessels by the time of his departure as President/CEO in 2001. Dorn was also elected by the tug and barge industry to serve on the Washington State Maritime Commission in 1990 and helped develop and implement the first industry-funded oil spill response network in the U.S. In 2002, Dorn partnered with Wayne Sundberg and Gordon Smith to create Sirius Maritime, focused on building and operating new double-hull tank barges to replace the aged U.S. single-skin tank barge fleet. In 2007, Sirius was purchased by K-Sea Transportation. K-Sea had also recently purchased Dorn’s earlier company, Sea Coast Towing. He successfully managed the integration of the two companies together for K-Sea and then stepped down in 2010 to pursue other business interests.